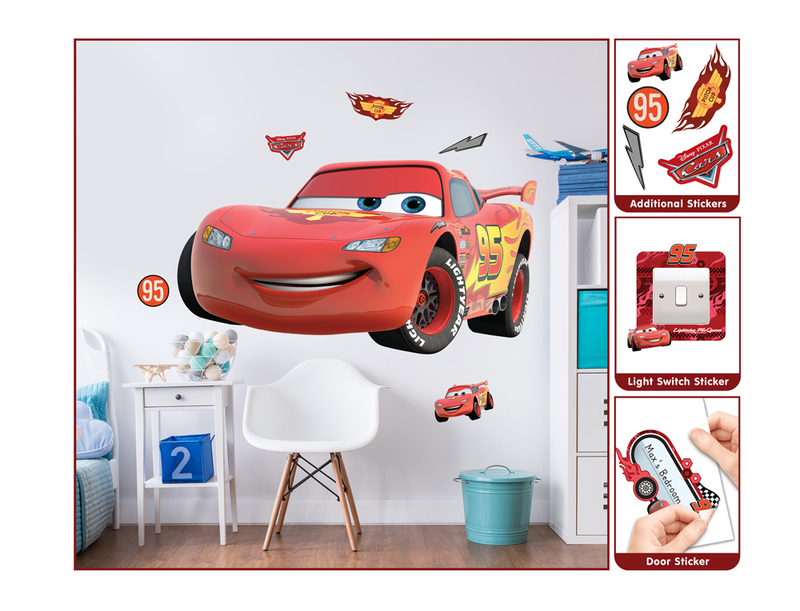 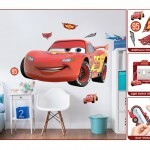 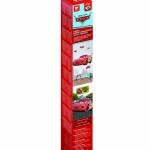 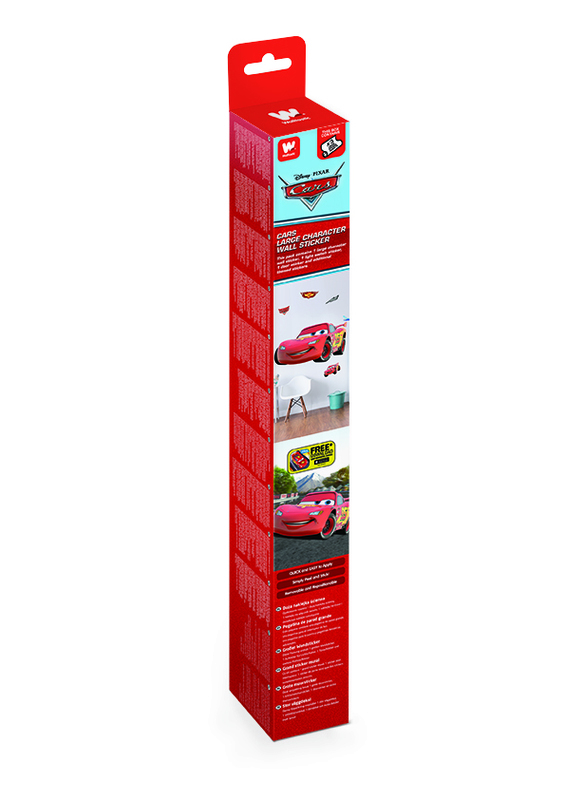 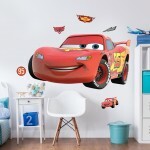 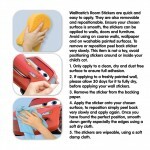 Bring your room to life with this amazing Disney Cars Lightning Mcqueen sticker by Walltastic, Each pack contains 3 sheets making up 1 large Lightning Mcqueen sticker measuring approximately 4ft (122cm) wide, 1 light switch sticker, 1 personalisable door sticker and additional themed stickers, These high quality, easy to apply, self-adhesive wall stickers can transform any bedroom, nursery or playroom in minutes and create the ultimate wow factor. 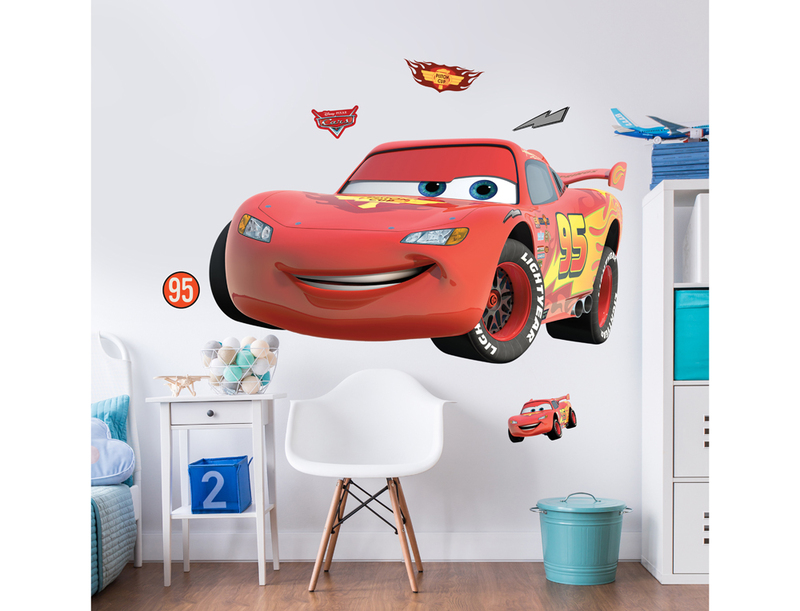 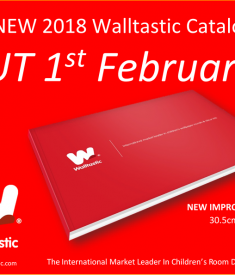 Like all Walltastic stickers these are removable and repositionable and can be applied to any smooth surface, include walls, doors and furniture. 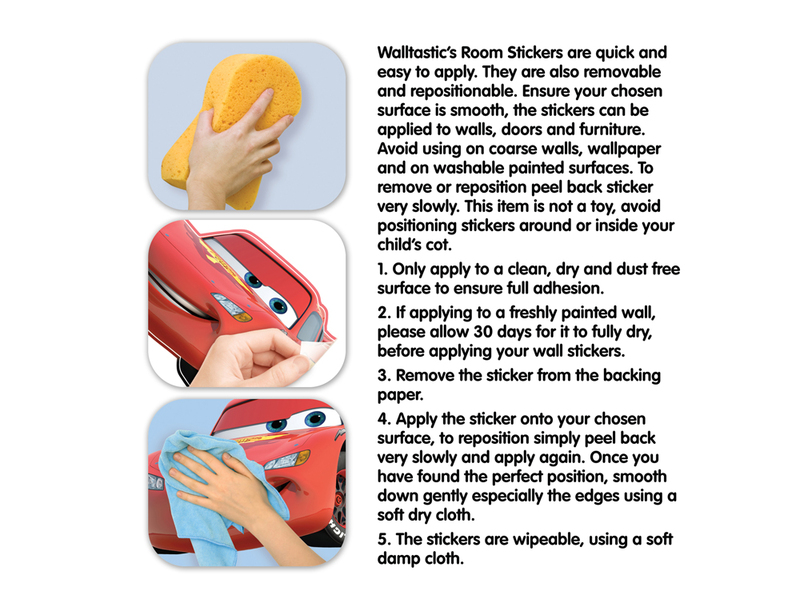 Simply peel and stick.